Tesla make electric powered cars to take on the diesel and petrol powered market. Until recently they focused on premium cars but with the introduction of new models Tesla are moving into more markets. 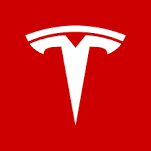 Their range includes the Model X, Model S and Model 3. We've got some great prices in our Tesla lease offers pages. If you're new to electric cars please call us to discuss the very latest Telsa lease deals.